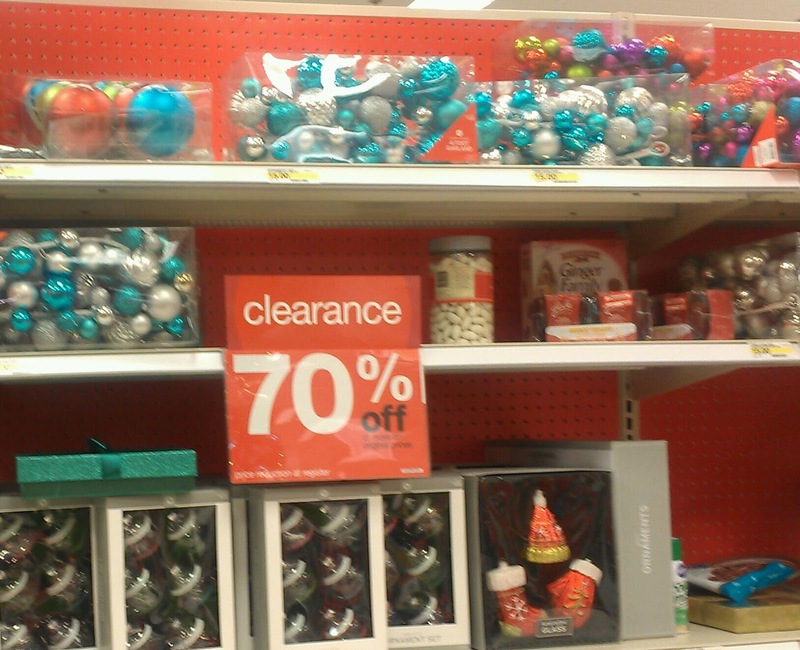 Being Frugal and Making It Work: Target 70 Percent Off Christmas Clearance - It's Finally Here! 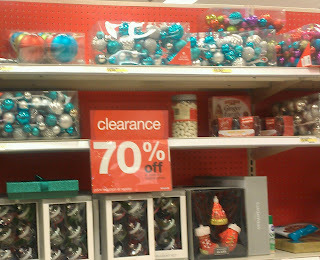 Target 70 Percent Off Christmas Clearance - It's Finally Here! I've made a trip to Target every morning for the past 4 days hoping to find their Christmas clearance at 70% off. When I woke up this morning, I really didn't feel like making another trip into town - but I knew that if I didn't go check that I would kick myself for it later. As I turned the last corner towards the Christmas clearance, I was thrilled when I saw the Target 70 percent off Christmas clearance signs on all the shelves. I immediately headed towards the musical snow globes, and started filling my cart! By the time I left, my cart was filled to the top with a magical variety of Christmas clearance items including candy, cookie mixes, socks, hats, and even a new artificial tree our school's giving tree program. I have to sort all my goodies out and take a photo, then I'll be sharing another post with my great finds and exactly how much I saved! Did you check out your local Target Christmas clearance sale today?